They always seem to come up on us so fast, but the holiday season will be here before you know it! Get your christmas card photos or annual family photo checked off your list in the beautiful fall colors or during a couple of limited spring/summer options. These sessions are perfect to capture those babies that are growing too fast or to celebrate an anniversary, maternity portraits or an updated family photo. This is also a very affordable way to get some great lifelong memories of your present family that I only offer once a year so don’t miss your chance! I promise your session will be filled with laughter, goofiness and giggles! I have limited spaces this year! Spots are first come first serve. Locations are still being scouted but trust me and they will be perfect! You have the option to pay your deposit by check or online (sent via paypal invoice). To reserve your spot, email: tiffanylynnphoto@me.com with a first and second time choice. You will receive an email from me with your secured spot date and time. If deposit is not received with-in a weeks time your spot will be re-opened up. These are for kids of all ages, families, couples. One day only. First reserve basis. Please email me with your 1st & 2nd session time choice. They always seem to come up on us so fast, but the holiday season is practically here! Get your christmas card photos or annual family photo checked off your list at the Tree Farm or new this year inside an adorable white shiplap studio that will be minimally decorated in holiday. Wear your pj’s or fun holiday clothing. The Annual Mini Session Dates are here! I am SO excited to offer Valentine Mini's this year. I have partnered with an ADORABLE studio in Elko, that is all white & shiplappy & has the most gorgeous natural light. These of course will be stylized with some timeless, minimalist & fun valentine decor & Valentine bribery will be in full effect if need be. These sessions are perfect for kids of all ages! One day only & First Reserve basis. Please email me with your 1st & 2nd choice of session time. This school year is flying by and I cant even believe that we are here thinking about summer sports, activities, vacations, and family photos! As promised I have my 2017 Mini Session dates & information ready to share! Your session will be filled with laughter & fun, as its always my goal to capture natural emotions. Locations are still being determined, so you just have to trust me! But I do promise that it will be in the south metro and will be perfect! The holiday season will be here before you know it, so this is a perfect way to grab your Christmas card photos or annual family photo & get them checked off your list. 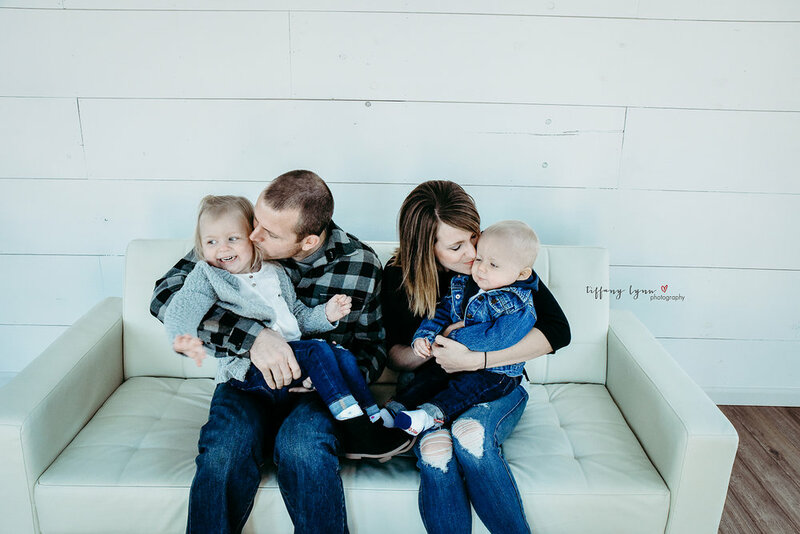 These sessions are perfect to capture those babies that are growing too fast or to celebrate an anniversary, maternity, or an updated family photo. I have limited spaces this year. Spots are first come first serve. To reserve your spot email: tiffanylynnphoto@me.com with a first and second time choice. You will receive a follow up email from me with your secured spot date & time. You have the option to pay your deposit by check or online. If deposit is not received within a weeks time, your spot will be re-opened up. **needs to be received within a week to hold your spot.